I am an artist, my medium is fiber. Welcome and I hope you enjoy my art. "Color sings to me. Color is such a marvelous way of expressing emotion. We have so many problems in this world; color just brings a little bit of joy into our lives." Vera Neumann, artist and designer. 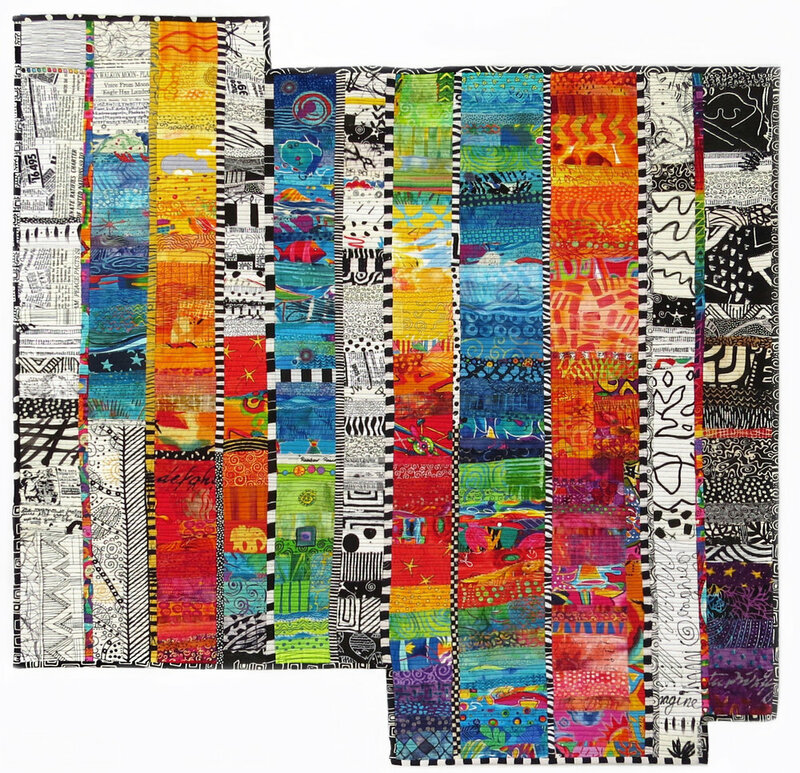 I create original Art Quilts with saturated, vibrant colors, and color is my inspiration and joy for creating. Just as a painter has his paints, my palette is my stash of colourful batiks, joyful novelty prints, and hand-dyed fabrics. I free-cut my fabrics, working intuitively to design an abstract or whimsical design.